It’s always great to escape the city, which is probably why Rav, our Director of Business Development, wasn’t going to turn down the opportunity to go on a Cowboy Trail Riding Adventure in New Milton, Hampshire. Join him to see what he had to say about his experience, from the journey there to the ranch BBQ! Rav and Phil (Phillipa) riding beautiful Western Paint horses – yee ha! “After a train ride from Waterloo to New Milton, we took a brief taxi journey from the station to ‘the ranch’ at The Burley-Villa School of Riding. Here we were greeted by lovely staff who offered us breakfast, tea and coffee. The venue felt stereotypically English, with a twist of the Wild West! We were quickly introduced to the Western Paint horses that we would ride. I was paired with Cheyanne, the largest horse in the group, and soon I was saddled up and hot to trot. We then went into the large barn to learn the basic turns, instructions and how to ‘giddy up’. I was really surprised how quick and easy it was to pick up the basics, and also just how comfortable the western style of riding was. 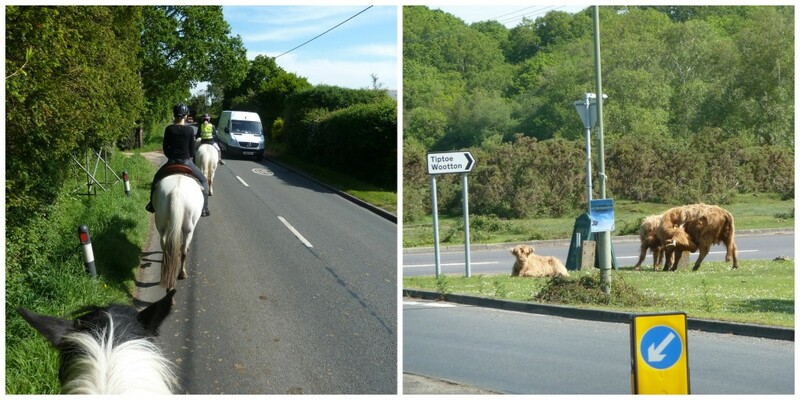 Within 15 minutes we were trotting off behind our instructing cowgirl, who led the way from the country roads into the lush greenery of the New Forest. A little time on the road, never knowing who you may bump into at the junction! The combination of the beautiful countryside and my Brokeback Mountain checked shirt ensured I felt every bit the cowboy I had always dreamed of being. 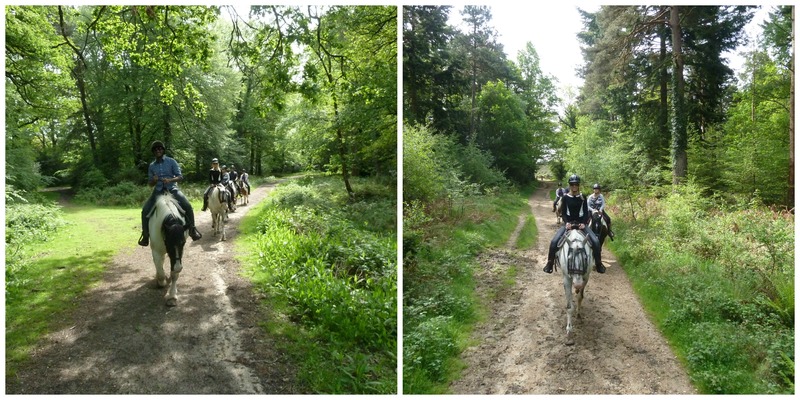 The enjoyment of riding was paralleled only by the amazing countryside and forestry that surrounded us. It was also interesting to ride across different terrain which tested our control of the horses. After the ride we were greeted by the manager who had cooked us up a storm on the BBQ at his ranch. Needless to say, we left with smiles and full stomachs. Thanks for sharing your cowboy experience Rav. For all things horsey, head to the horse riding page of our website.